APAHM At CMU | Grand Central Magazine | Your Campus. Your Story. April is Asian Pacific American Heritage Month, a time of year set aside for us to celebrate the culture and Heritage of many of the students at CMU that are of Asian and Pacific Islander decent. 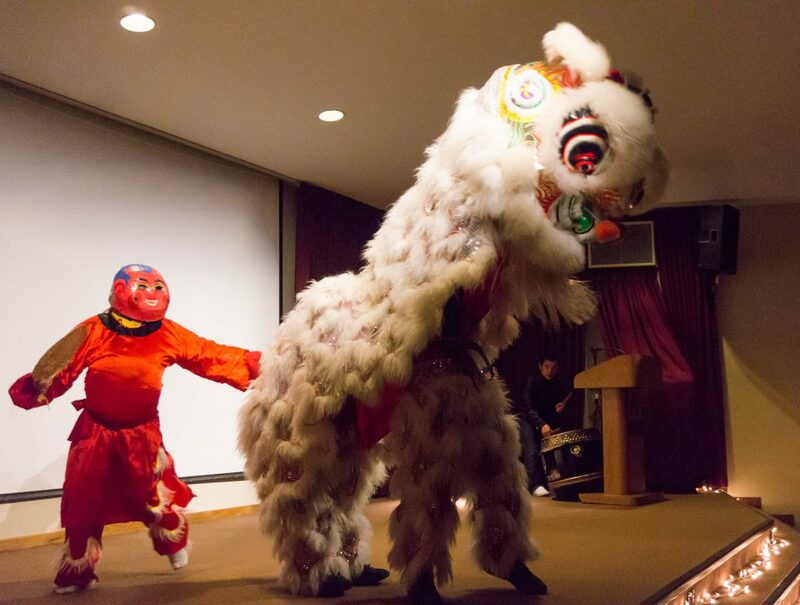 Every year, organizations like the Asian Cultural Organization (ACO), International Student Organization (ISO) and the Center for Diversity and Inclusion put on several events every year celebrating this month. Some of those events were ACO’s Extreme Cuisine, a fear factor-like competition and “Celebrasia” where they put on a show complete with performances, speeches and a fashion show, showcasing different clothing from Asian and Pacific Islander cultures. Rapper and spoken word artist, G Yamazawa speaks on his experiences as a Japanese American artist in the Plachta Auditorium at Central Michigan University, March 28, 2018. 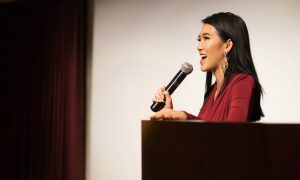 ACO President, Wyandotte junior, Tiffany Nguyen, speaks at Celebrasia in the Bovee University Center auditorium at Central Michigan University. Sophomore, Brianna Lee, displays a Traditional Korean Dress for the cultural fashion show. Separator image Posted in Community, Students, Students and tagged with ACO, APAHM, Celebrasia, Extreme Cuisine, Rickey Portis.